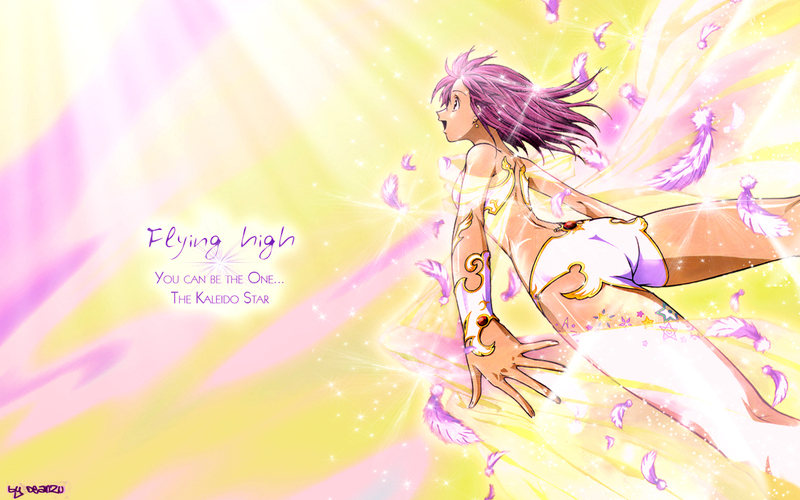 This wallpaper was extremely hard to clean the scan, the feathers too...I used a simply background with pastel yellow, pink and violet colors. finaly with some brushes I added ligth on it, and little stars givin' a magic touch. I uh....the one thing I sadly noticed or maybe I'm a little weird is Sora's tooshie. Don't ask me why, I must have dirty eyes or something.